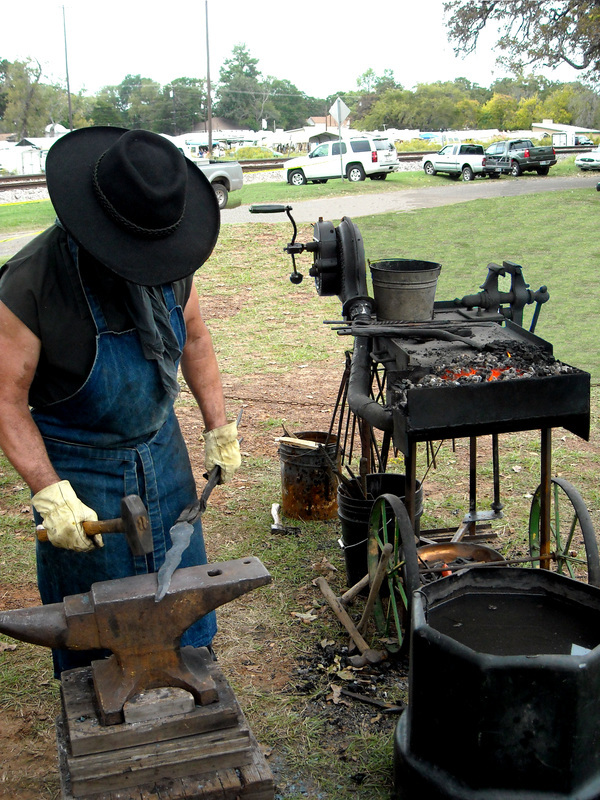 Shadowhawk Blades is focused on promoting interest in the historic craft of blacksmithing, expanding knowledge of historic techniques and metallurgical principles, and creating heirloom quality metalwork in the specialty area of blade making. Charles Adams was born in Dallas, TX in 1953. For various reasons the family frequently moved around the East Texas region until finally settling in Saltillo, TX for an extended period. After graduating high school, Adams joined the Army National Guard, received training at Fort Polk, LA, and served a 6 year term at the Armory in Sulphur Springs, TX. Adams entered the job market as an oilfield worker as the “oil crisis” of the 1970s was beginning. Over time Adams worked in hay fields; as an optician in both surface and finishing labs; as a direct sales representative; as an electrician’s helper in shipyards and open pit coal mines; as manager of a local feed store; as assistant manager of a Taco Bell franchise, and finally as a residential carpenter. In 1983 he began training in martial arts and in 2011 achieved the rank of 4th degree black belt in Isshinryu Karate. 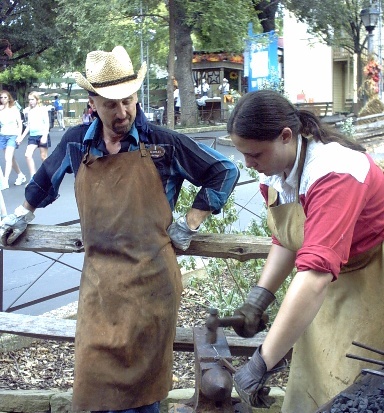 In 1985 Adams began studying the craft of blacksmithing and over the next 30 years developed his hobby into a full-time business. 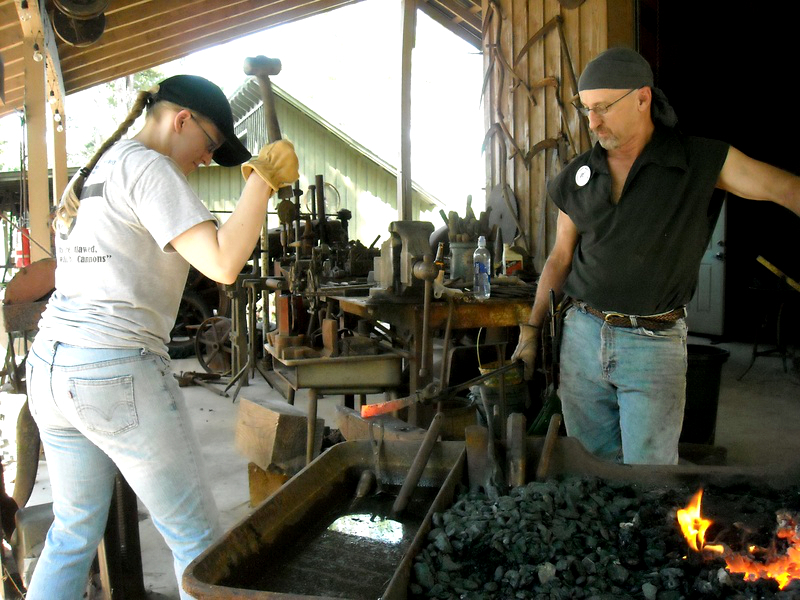 Adams currently teaches classes in martial arts, self-defense, and body mechanics as well as teaching blacksmithing and creating custom, handmade knives and swords. In 1985 Charles Adams desired a Japanese-style sword for use in his martial arts practice. Research led Adams to discover that there were few blades available of a quality suitable for practical use. Adams conceived the idea of making the sword himself and began with absolutely no knowledge of the metallurgical principles and techniques required to make a blade of any type. The first blade was shaped using “common sense” and the difficulties Adams encountered created an interest in the actual techniques required to create blades. Adams began researching in the available literature and hunting down and consulting with practicing blacksmiths around the region. After 10 years in the field, Adams became acquainted with Master Smith Daniel Watson, who became Adams’ unofficial mentor. Adams informally learned under Master Watson for 13 years and during that time transformed his hobby into Shadowhawk Blades. The company began as a part-time, supplementary income endeavor but in 2006 the idea of making it a full-time business was conceived. 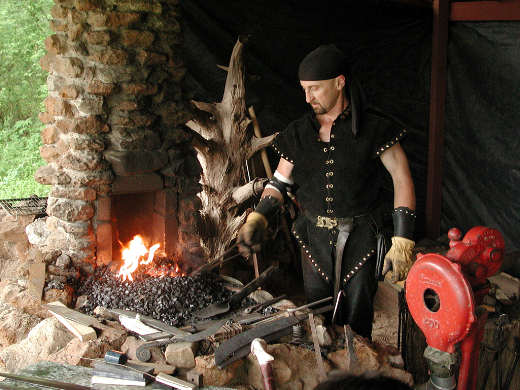 In 2009 Adams transitioned to full-time blacksmithing, developed private blacksmiting classes, and expanded the demonstration and lecture offerings. Shadowhawk Blades is located in Winnsboro, TX, and is open by appointment only. 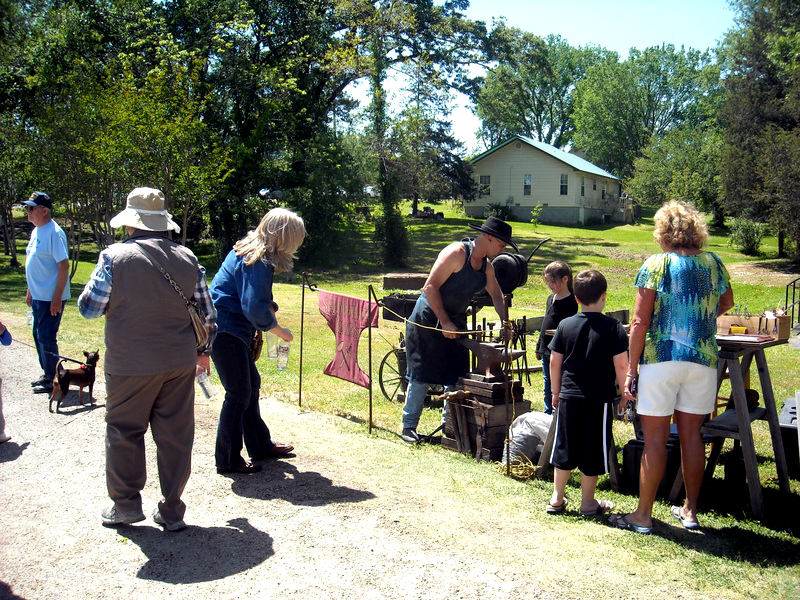 Charles Adams and apprentice Samantha Winn began a project at Parrot Park Old Mill Museum, Lindale, TX. Charles Adams creates a kris blade at a 2012 demonstration in Jewitt, TX. Charles Adams heats steel in one of the working forges at Parrot Park Old Mill Museum, Lindale, TX. 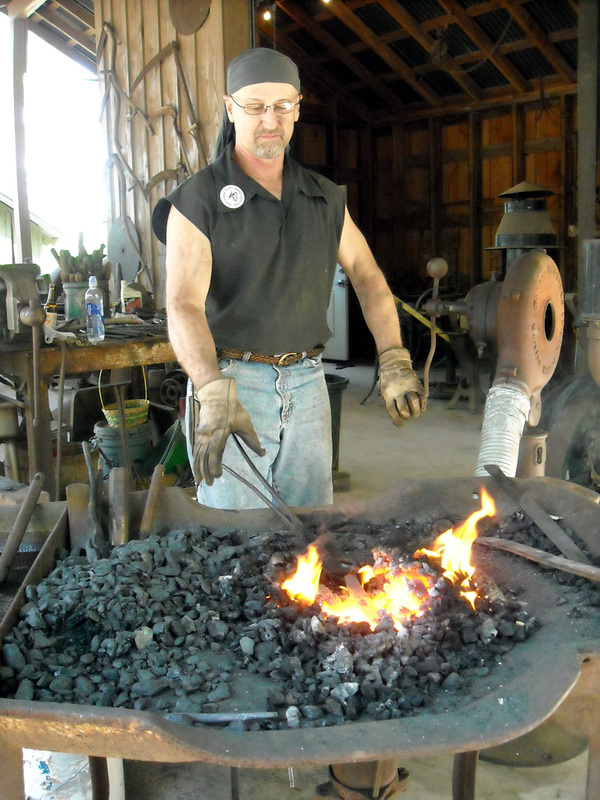 Charles Adams working in his smithy at the former Four Winds Renaissance Festival - Troup, TX. Charles Adams gives and explanation of blacksmiting technique to a crowd at the Rains County Founder's Day Festival, Emory, TX. 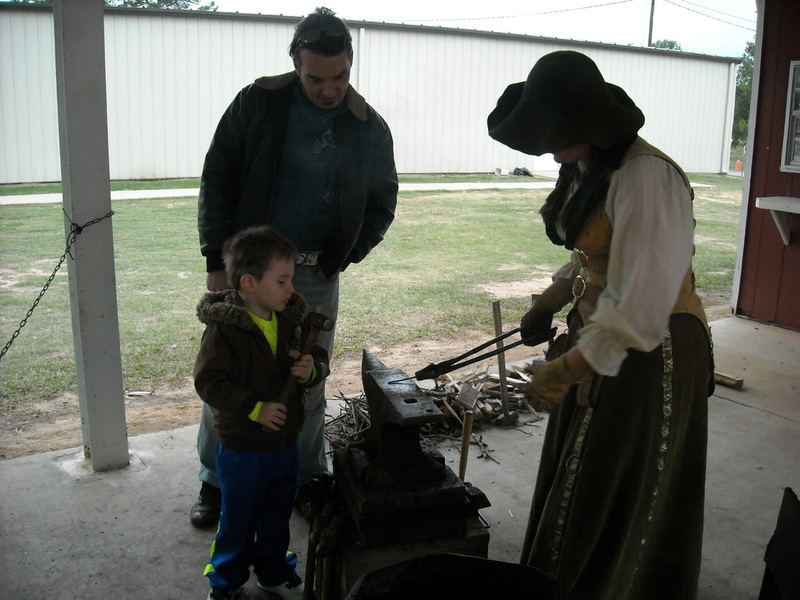 Sarah Adams showing a child how to make a project at Texarkana Renaissance Festival, Texarkana, AR. 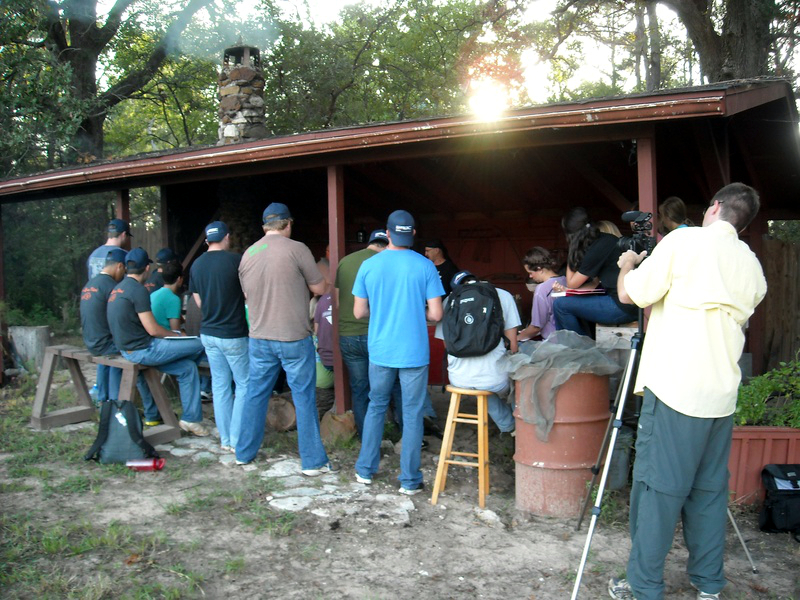 Charles Adams lectures Pine Cove Camps participants during a private demonstration in Troup, TX.